Every family has a story. Every story can inspire, inform or entertain others. Since 2015, our Convaid | R82 Ambassador families have shared their personal triumphs, adventures and product insights on social media and within their communities. We have decided to share some of their stories in our monthly newsletter. This month, we would like you to meet Madi. Madi has recently turned 4 years old and she and her family are so excited! Especially Madi’s parents, Ashley and Grant Mansard. Ashley explained that when she was still pregnant, the doctor’s informed her that her baby would be born with an extremely rare genetic condition called 5q14.3 chromosome deletion. Ashley said, “The doctors told us that there were only 60 other known cases in the world. They didn’t know anything else about this rare genetic disorder and basically said ‘Good Luck’”. Although this was an extremely emotional time for the young couple expecting their first baby, the Mansards dove into researching as much as they could and began networking with other families of children with this condition. Becoming their own experts, they have worked very closely with the doctors who have been with them from the beginning by teaching them and sharing what they have learned. Ashley is also very active in two social media communities called Chromosome Deletion 5Q14.3 and MEF2C Parent Support Group. The Mansards have also advocated to find the best therapists and teachers for Madi. Ashley knows firsthand the importance of therapy because she endured many grueling months of therapy after a car accident a year before she became pregnant with Madi. After being in a coma and having a severe back injury, Ashley had to learn how to walk again. 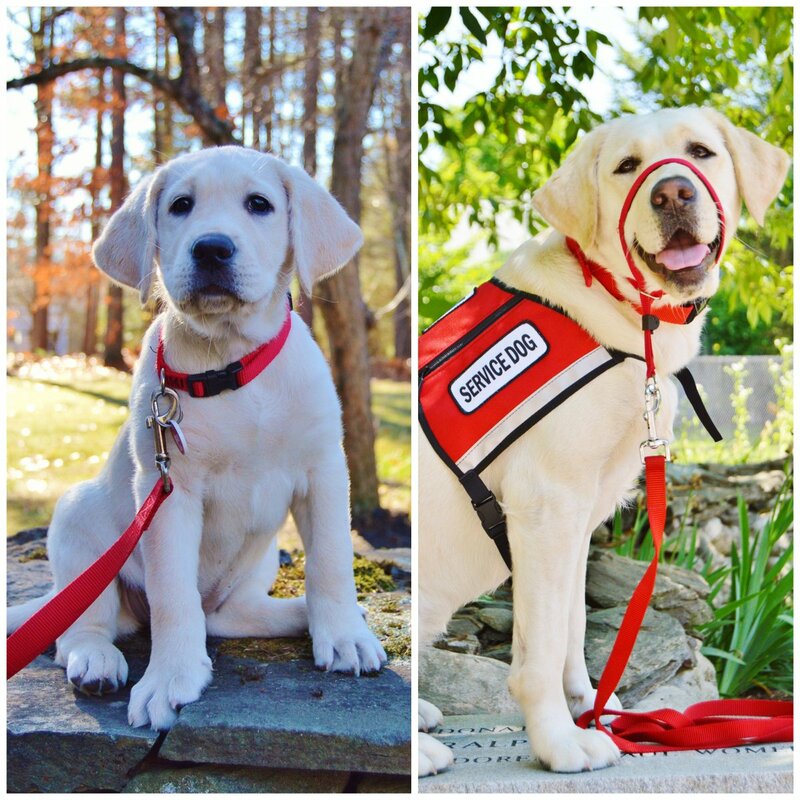 Because of her own experience, she knows that Madi will continue to grow and learn new skills by being exposed to daily therapy and positive experiences. She knows that even the smallest accomplishments each day add up to big ones. “When I was learning to walk again, the first day I took 4 steps, the next day 10, the next day 20, and so on until I was able to go as far as I wanted” said Ashley. She is confident that Madi will walk one day too! Madi is missing the MEF2C gene on her 5th chromosome which is believed to be the reason she has some developmental delays. She requires support to sit because of low tone in her trunk and neck with high tone in her upper and lower extremities. 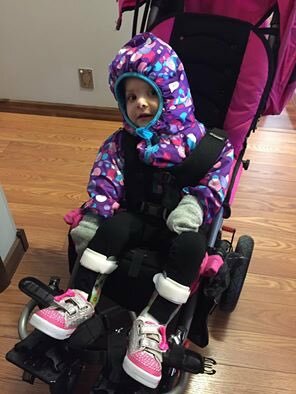 She currently uses the R82 Stingray wheelchair which her parents and therapist chose because it provided her with the head and trunk support she needed. Having an injured back, Mrs. Mansard was also very happy with how light the Stingray was to lift into the SUV. Madi attends the Jackson Center for Conductive Education in Mooresville, IN which works with motor-challenged children and adults. Occupational therapist Lara Depoy, MS, OTR is working with Madi through Conductive Education, developing her motor skills through repetition, peer interaction, and positive reinforcement. She is excited to see progress with Madi’s head and trunk control as she works in sitting in dynamic ways. Madi also practices walking in a gait trainer and Ashley is in the process of getting a new stander for Madi. She was excited to meet with our Convaid | R82 Territory Manager, John Liberton to trial some of the R82 standers, including the new R82 Meerkat dynamic stander. We can’t wait to hear more about Madi’s progress! Madi, 3 years old celebrating Halloween 2018 in her R82 Stingray. Madi going places in her R82 Stingray. Madi, age 3, enjoying playtime with her mom. Madi sitting in the R82 x:panda and working hard with speech-language pathologist Jen McDaniel at Bloom Pediatric Therapy Center. Madi having fun in the pool with her mom, Ashley Mansard!